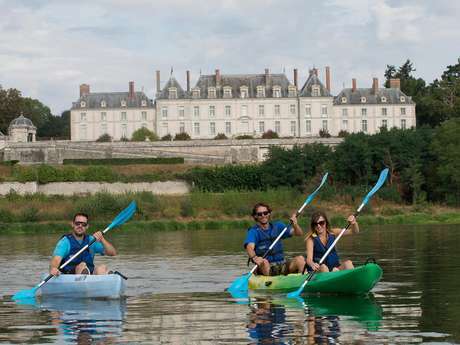 The Loire Châteaux, and the the river that so inspired the kings of France, are part of a long, continuous community that stretches the length of the longest river in France. More than 1000 km separate its source, in the Ardèche in the south-east of the Massif Central from the estuary of Saint-Nazaire, where it gives its name to the Loire-Atlantique département. Her surprising and honest reply was "In my grandfather's stable!" In fact, the Loire has several known sources, one of which runs into a stone basin on a little farm at the foot of Mount Gerbier-de-Jonc, at 1417 metres altitude. In its earliest miles the stream is steep and fast-flowing. It flows north, then becomes a wider, more gentle river between Châteauneuf and Orleans, crossing the town of Blois hen heading towards Tours, slowing between Chinon and Saumur, and passing Angers. Its speed and currents may seem capricious, - it is said to be wild and it certainly was once, but perhaps a little less so today with the dam built between Nevers and the estuary of Saint-Nazaire. Its water catchment area covers 117,000 km², which is one fifth of France! It traditionally marks a meteorological boundary - "north and south of the Loire" are often heard on TV weather forecasts. 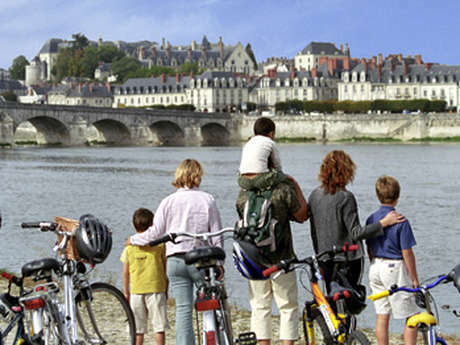 The Loire is known as the "wild river" by the French, so rich and entertaining is its history. But that hasn't stopped humans trying their hardest to tame it. There are records of the Frankish tribe the Turci building dikes of stone and earth before the Middle Ages, and massive levees were built by the civil engineer Colbert in the seventeenth century, reinforced after the three great floods of 1846, 1856 and 1866. These floods and overflows are feared to this day - the Loire can rise by up to three metres in less than 24 hours, if three factors converge - rain in the Mediterranean basin (Cévenne hills), rain in the Allier and Morvan basin, and an oceanic low-pressure area with a westerly flow. 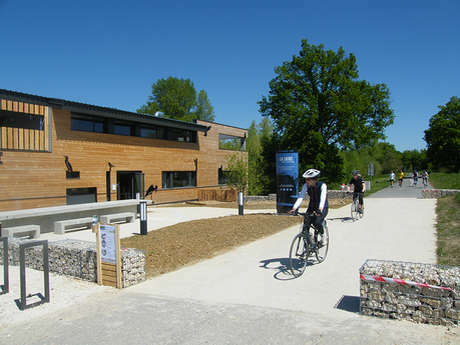 Flood prevention is one of three themes presented at the Loire observatory (Observatoire Loire), in the Parc des Mées in Chaussée-Saint-Victor, near Blois. "We explain why the flow can reach 7,000 cubic metres per second, as it did during the three great floods of the nineteenth century. It can also drop to as little as sink to 40 cubic metres per second at the lowest water level," says Jean-Pierre Bessonie, president of the Obervatoire Loire society, which provides educational resources and training for people working closely with the river. "Blois is only a medium-sized town, but plays an important role in issues regarding the ecology and economy of the Loire. The whole history of the Loire is here - flood marks on the walls, traces of ancient dams, dikes, weirs, a description of the lives of boatmen - it's an endlessly fascinating visit!" The whole history of the Loire is here - flood marks on the walls, traces of ancient dams, dikes, weirs, a description of the lives of boatmen - it's endlessly fascinating! The Loire is navigable as far as the city of Orleans. Since the summer of 2017, the Skippers exhibition has been open at the Observatoire Loire. "Boatmen, sailors of the Loire, the lives of the sailors, all in an old tavern atmosphere. Interactive games for families and schools where everyone can join in, gaining a better understanding of life on the river f for the local economy, both today and through history" adds Alain Amiot, director of communications. The history of sailing on the Loire is be accompanied by an educational booklet to broaden and deepen the knowledge of those most interested. The Loire also forms an ecological continuity through the country in terms of the fauna and flora (whether indigenous or invasive), the fish, mammals and migratory and permanently-dwelling birds (the third theme of the Observatoire). "The Loire is a migratory corridor, explains Jean-Pierre Bessonie. When merchandise used to sail up-river, it was often accompanied by hitch-hiking newcomers. Other natural migrations still occur - salmon and river herring are the migratory species par excellence, but catfish also move with the seasons. In the air, terns, egrets, osprey, small plovers follow the river's course, while beavers represent the most mobile mammal species, often visible in the water at dawn or dusk"
The new Obervatoire Loire opened its doors in June 2016. 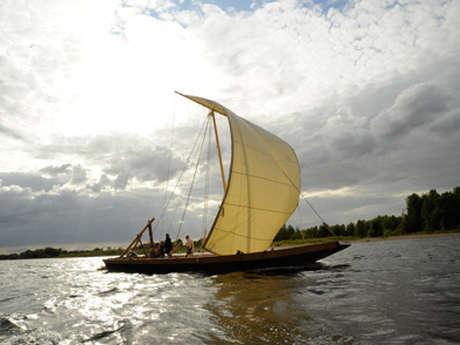 It organises river trips on board the traditional fûtreau and toue cabané boats, with tours to complement the different themes developed in the Observatoire exhibitions. Boats leave from the port of La Creusille in Blois on the southern bank. A great chance to experience the open-air wonder of our magnificent river and all its riches. As the river banks get further and further from sight, you enter the estuary of the Loire at Saint-Nazaire, some 1 km wide. Here is the place where the river meets the sea, a special environment between fresh and salt water, where canals, wetlands and river islands form a unique ecosystem. This is the largest and most ecologically important wetland zone on the Atlantic coast. Its ecosystem includes the make of Grand-Lieu, and the marshes of Brière and Guérande (famous for the production of salt). Raised to the status of UNESCO World Heritage Site in November 2000, 280 kilometres of the river from Sully-sur-Loire to Chalonnes-sur-Loire are protected. The surrounding area are also covered by the same environmental conservation order. Four départements and six towns (Orleans, Blois, Tours, Chinon, Angers and Saumur) fall within the conservation area, with one million inhabitants. This international recognition demonstrates the efforts made by the local authorities, companies and people, both from an environmental point of view and for the excellent development of the area for tourists and visitors. Venison and wild boar, pike and perch - game and freshwater fish are the mainstays of the cuisine of the Sologne region.